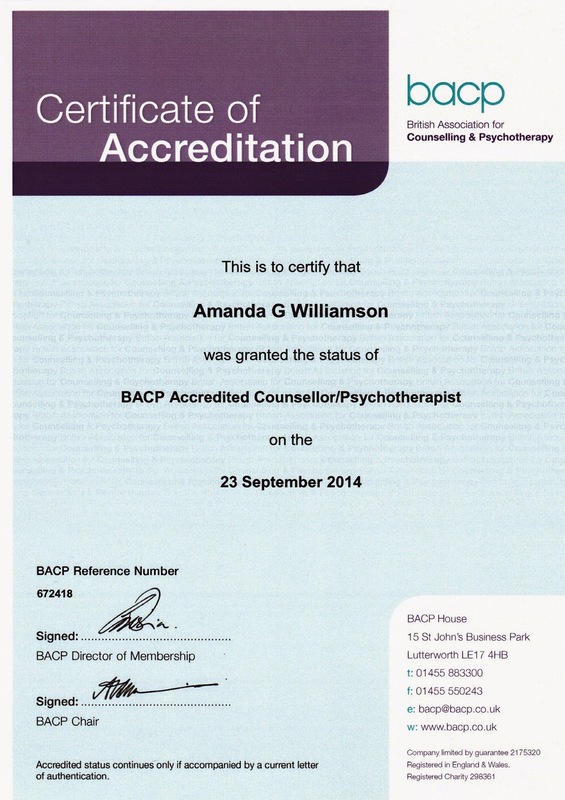 When I was in training and looking at different career paths it became clear that BACP accredited status was the goal in respect of being able to get paid work being employed as a counsellor or to receive referrals via Employee Assistance Programs. The application for accreditation is a project in itself involving four written pieces and a whole lot of logging (client work, supervision). You also need a supervisor's report and to find a suitable sponsor who will submit their sponsorship form separately. It's a lot more complex and time consuming than I can possibly say in a short paragraph. I was ready to apply in May 2013 having enough years experience and around 1000 client hours. However, I had to delay the whole process for around a year due to the professional difficulties I had encountered when I reported an agency for unethical practice. The agency, which subsequently had BACP membership removed twice (there were other complainants) went on the attack and sent threatening correspondence and lodged professional complaints against anybody who had raised grievances with them who also happened to be BACP member. This whole process involved a police investigation and took around 2 years. None of the complaints raised by the agency proceeded to a hearing as the BACP could not find any evidence of unethical practice in any of those who were complained about. Finally, this year, with the hearing against the agency and that whole traumatic business out of the way I decided to work on my accreditation application. I found it very time consuming and tedious. The written pieces were actually more tricky than I thought to write - harder than the essays during training. We have to demonstrate within a word limit exactly how we are working and demonstrate our awareness throughout of the BACP Ethical Framework for Good Practice in Counselling and Psychotherapy. We have to describe professional development we have engaged in and demonstrate how this has informed our practice. A lot of it is about reflective practice, our use of supervision and our self-awareness. This is quite difficult to convey in an essay! I found myself tweaking each piece in turn, spending many hours honing them, so that they, as a collective, provide a coherent and authentic representation of myself as practitioner. The largest written piece is the case study where we demonstrate our use of theory, self-awareness, the Ethical Framework and supervision. These days the BACP ask that your supervisor reads the case study too and recognises it as being a reflection of the work done. So no making stuff up, exaggerating or bending the truth. I had second thoughts about applying. Was it necessary? Was it worth the expense? With the new Accredited Voluntary Registers won't accreditation become superfluous? Do clients know the difference between members and accredited members? Was I doing it because I was on some sort of subconscious conveyor belt and it was an automatic step rather than a well thought out, considered manoeuvre? I decided to be very honest in my written work about the challenges I had faced and how I had carefully negotiated any impact of the dreadful business involving the agency on my practice. I capped my client load, had extra supervision and saw a therapist weekly during the height of the process. I also explored the learning that I had gained from the experience and how the adversity opened up the pathway to revisiting old wounds and being able to process them more effectively than ever before. I was advised by a colleague to keep that stuff out of my accreditation application but it seemed incongruent not to include it. Due to how long it had been since downloading the original application and actually submitting it the fee had gone up so first of all I had to pay the short fall. Then in August I was told that I had not labelled my essay clearly enough in terms of referencing the Ethical Framework and had managed to miss out a few lines on the client log. After remedying those I was told it would be submitted to a moderator at the next available opportunity. On 23rd September I had a difficult day because somebody had requested a meeting to describe my experiences at the Palace Gate Counselling Service. I am unable to disclose who but I agreed as a matter of ethical duty/public protection. However, it was incredibly difficult having to describe exactly what happened to somebody I had never met before. I had been in a good place of putting the whole thing behind me but this seemed like a set back. I felt emotionally battered afterwards. And then on 24th September a firm envelope plopped through my letterbox. I was a bit nervous at first; unexpected large envelopes have often meant rather horrible communication via the aforementioned agency over the last couple of years. Picking it up, and seeing that is was sent from the BACP I quickly opened it and there it was. "Accreditation offers kite-mark status for individual practitioners, professional training courses and therapeutic service provision, who are able to demonstrate that they are meeting a wide range of criteria, set to recognise high standards of knowledge, experience and development." I had told myself that achieving accredited status would not really mean anything to me. Had I not been so honest in my written pieces then perhaps my reaction would not have been quite so huge. But it was that I had been so utterly genuine about my ups and downs since practising, and that the BACP moderator had accepted and understood how I worked. After a baptism of fire into the industry and the horrendous 2 years that had blighted my career until very recently, this was a HUGE relief and an extremely positive step forwards for me. It meant more to me than my original qualification. However, the BACP accreditation process is a very well thought out initiation into the higher echelons of counselling and psychotherapeutic practice. I highly recommend it as a process to fellow practitioners for fundamental personal and professional self-development. Likewise, The National Counselling Society offers accredited status but as far as I can see, this is equivalent to the BACP Registered Membership with a much less stringent criteria than the BACP Accredited Membership status. I am not being protectionist here. The criteria for the BACP Accreditation scheme can be seen here, and the NCS Accreditation application here. *this paragraph has been updated as the PSA Registers were originally called Accredited Voluntary Registers. Please would you expand on that? Very interesting, thank you. And congratulations for sticking it out. Dealing with such an aggressive unethical organisation must have been nightmarish. I have many years of bureaucracy ahead of me! Hi Amanda, that does seem like a nightmare and such a long process for you to go through, though I'm sure your learning has been beneficial in all sorts of ways in your practice. I have been putting off applying for my own accreditation because of the long process and after a couple of false starts I am about to start again. It has to be done. The beginning of your post interests me greatly: many prospective counselling students enter the education journey not realising the investment, time, emotionally and cost, when they start. it is something courses could do with having as the starting point in the information pack. No other course I know of has this amount of additional investment. And I wanted to say congratulations, after 13 years of practising, I hope to finally set time by and make a concerted effort to get my accreditation. Interesting to find your blog and inspiring , thanks. 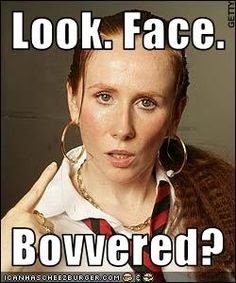 I did a two year diploma at Plymouth university in 2012, and they pulled out of their accredited status. Which meant on completing the course, I had start at the beginning again re accreditation process. Now three years later and having practiced for 14 years within the Nhs, I still feel daunted about completing this all alone and yet I must. I need to set a time table and get on with it, and perhaps find some support regarding getting my essays read etc. Thank you for reading and for your kind words. Good luck with applying. I hope you get round to it. I'm so glad I did it although it's easy to say that from the other side! Please keep me posted. What a blow re the course pulling out. Yes it does seem very daunting when you look at the info for applying for accreditation. I think many people (me included) just took it a step at a time and crafted it over a series of months. Bite size chunks each week definitely help it seem more manageable. Mind you, I'm so late responding to your comment you may be well into the process! Thank you so much for writing this, I have been dragging my heels since April, feeling completely daunted by the prospect of writing a case study and trying to select a client that proves im a "good counsellor". I want to experience that feeling of validation, this has really spurred me on!! Dear Anonymous, many thanks for your comment. I am so glad that you feel spurred on. Please let me know how you get on. Best of luck. Thanks Amanda for your honest experience in your post. I have been delaying to tackle the application form because of several reasons. The application fee and the fear of failing and having to pay more money. Also the sections that require more writing about the client I believe its section 7 to 9. It's rather discouraging. Do you have any tips or pointers to help? I'm really glad that my post has helped you gain some perspective on why it might be worthwhile to apply for accreditation. I have been aware of some rumblings and grumblings from some BACP members about potential changes in membership. To be honest I'm not altogether sure why so many people are against the BACP tightening up their auditing procedures. I wish we did live in a world where we can just trust that professionals do what they say they will do. I do not feel defensive or scared of any tightening up and think that it is needed. It is my understanding the the UKCP expect their members to go through all their CPD with their supervisor annually who signs it off. If we sign a statement saying that we will behave a certain way why is it so scary to have to demonstrate that we have done the necessary CPD and supervision? Anyway that's my grumble over with! Best wishes with your accreditation journey. If it helps, I am consistently busy and I know that some of my clients did look specifically for a BACP Accredited therapist. I would advise you to book a session and discuss this with a Supervisor who has been through the BACP accreditation process. I found this really helpful at the time. I'm currently doing my Level four with NCS which is probably one of the best. Will I be able to register with BACP after this? I'm not entirely sure. It depends on whether the training meets the BACP minimum criteria for membership. They have loads of info on their website or you might enquire by telephone. You might have to do a Certificate of Proficiency to attain membership but I know lots of people who have done it and it is not difficult. BACP Accreditation is different to basic registration and involves written pieces, supervisor reports and minimum hours of/years in practice. Well done Amanda for sticking with it an for achieving the accreditation . This has given me a insentive to start it as you stated chunk sizes at a time . Which I intend to do . Thanku for sharing . All the best with your career. Thank you Teresa. Actually just this week I have started writing for my Senior Accreditation. It is a similar process to accreditation and I hope to submit my application in the New Year. Good luck with your application. It will feel so good once you've done it! I’ve had my accreditation deferred - apparently a lot of people do these days and mine was on the ethics portion too. I’m really struggling with it and have no idea what to write. All other sections (6,7,8) were passed but essay 9 was mainly deferred on most subcategories. Do you have any advice or tips on how to get this essay up to scratch? It’s so confidence battering. I know I’m an ethical therapist but reading the rejection makes me doubt myself! I think the Accreditation criteria has changed a little since I applied 4 years ago. I did find the case study essay the most tricky and it took me ages to write in a way to demonstrate each aspect of the criterion. I was honest about where I might have got it wrong with my client and how I dealt with that in supervision. The way I approached it was pretty much the same as how I approached my Senior Accreditation which I submitted a couple of weeks ago. I wrote the other essays first then tackled the trickier one. Then kept going back to all the essays and tweaking them so that they all sat together well. I used margins down the sides of the page to reference all the different sub-criteria and Ethical Framework. I anticipate the likelihood of deferral this time. It’s tough! Good luck with your resubmission. I found your article very welcoming reading. I have just submitted my accreditation last week after pondering and working on it for months and months! I hope like you they will see the honesty in the work I have done, and yes, I will likely cry if I get it too! It’s so nice to hear someone be positive about the process... I seem to hear a lot of folks saying what’s the point etc... to me it was a very personal thing to achieve. Finger’s crossed! Good luck and well done Georgina. I submitted my Senior Accreditation a few weeks ago. Again, I enjoyed the process and saw it as much about personal and professional development rather than ticking a box. I also found it daunting and frustrating at times and it took me ages to complete it, 6 months from starting it to submitting it. Fingers crossed we both get accepted without deferral. If deferral happens try not to take it too hard. I think it’s quite common. It would be interesting to know the statistics.